Following the countless teases that Marvel Comics has released for their summer 2015 event, it’s only fair that the distinguished competition gets their turn to reveal a thing or two and now they have. USA Today brings word on Convergence, the DC event that will run during April and May of next year, while DC Comics shift their main offices from New York City to Burbank, California. 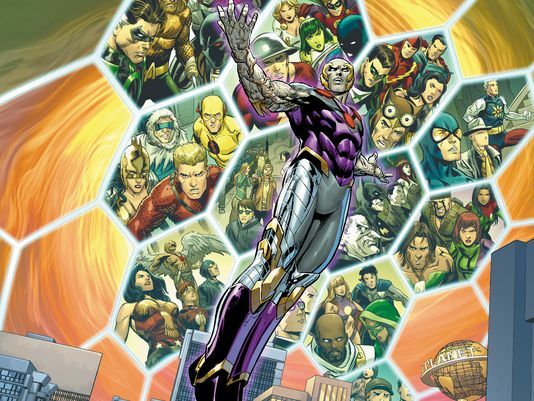 Convergence will be split into forty two-part miniseries all with different artists and writers exploring the lives of the various heroes and villains from the DC multiverse, while it’s being published all of DC’s regularly scheduled books will be put in a nine-week hiatus. Jeff King of “White Collar” and “Stargate SG-1” fame will be penning the primary Convergence storyline with help from Dan Jurgens on the zero issue and an outline from Scott Lobdell. 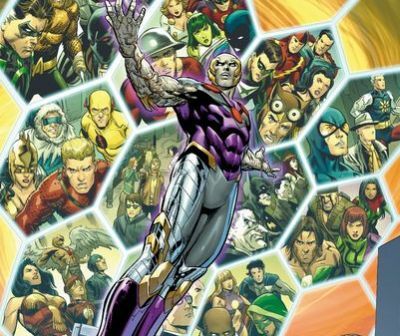 You can check out the promo art for the series below which teases the return of the Justice Society of America, Donna Troy, Gen 13, the Crime Syndicate, the world of “Flashpoint,” and more below!